Paso Robles ("pass of the oaks") is suitably named for the clusters of oak trees scattered throughout the rolling hills of this inland region. Located on the Salinas River north of San Luis Obispo, California, the city is known for its hot springs, its abundance of wineries, and for playing host to the California Mid-State Fair. Arriving in downtown Paso Robles is like taking a step back in time and right into a movie set. 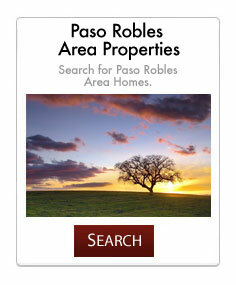 Paso Robles has grown from an historic Wild West town to a sophisticated world renowned wine region. The main town square is surrounded by blocks of venerable Victorian-era buildings such as the public library, a neoclassical edifice from 1907. It's worth taking a leisurely stroll around the square before heading out into the rolling vineyards for an afternoon of wine tasting. Many of the activities in the area are centered around the wineries. With over a hundred fifty small boutique wineries to the well known tasting rooms as members of the Wine Country Alliance, Far Out Wineries and 46 East Wineries , one could spend days experiencing the popular zinfandel, cabernet sauvignon and the ever increasing popularity of the Rhone varietals. A weekend at the Wine Festival is an unforgettable experience.